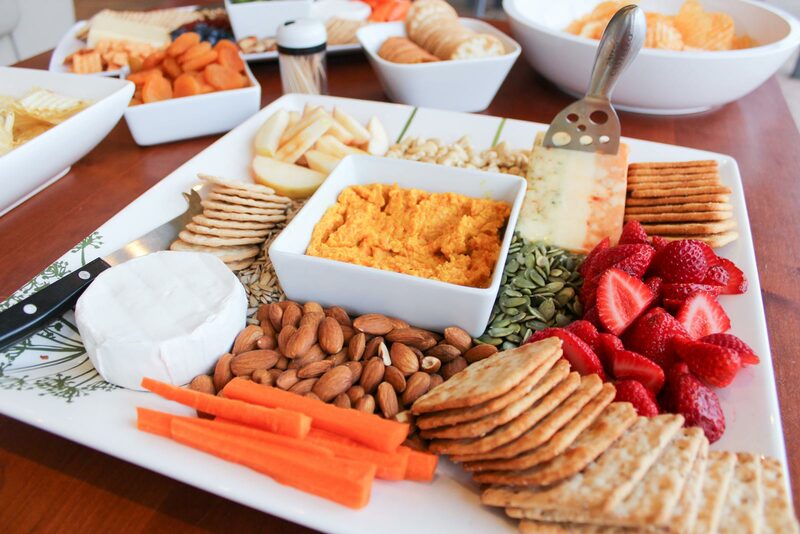 Last Saturday, over the Easter long weekend, I hosted my very first cheese and wine night with some of my closest girlfriends. The evening was not a glamourous occasion but rather a pyjama party with Bridget Jones’ Diary and lots of wine. Growing up I’d always felt like the Carrie Bradshaw type and desperately wanted to put on my party hosting hat and have a fun time. Any excuse really to get the girls together and have a good ol’ catch up and gossip over a bottle of vino. Now the wine part is pretty simple, just BYO your preferred drop and show up on the night. 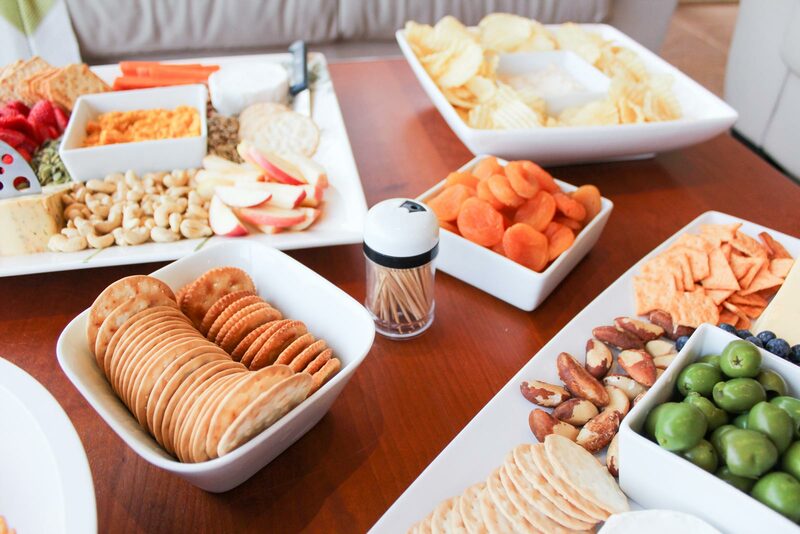 As for the hostess, in which case was my role last weekend, they need to put on some nibbles to compliment the beverages and be a partial sponge to the latter. 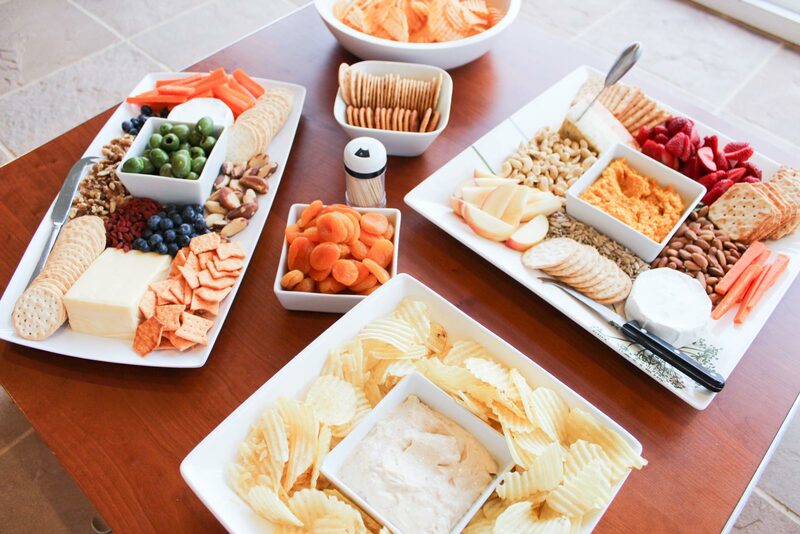 As for the nibbles element you really can’t beat a classic cheeseboard with a selection of different cheeses, crackers and everything in between! For the cheese component I always go for at least three or four different types: something soft and gooey like Brie or Camembert, hard and sharp like Cheddar or Trilogy, and something with a bit of pizzazz like blue vein Castello or Gorgonzola. I picked up four cheeses from my local supermarket, one from each of the above groups to create an array of flavours on the board. I set a wedge of Gouda and Camembert on one cheeseboard and a mini Brie and chunk of Trilogy on the other. 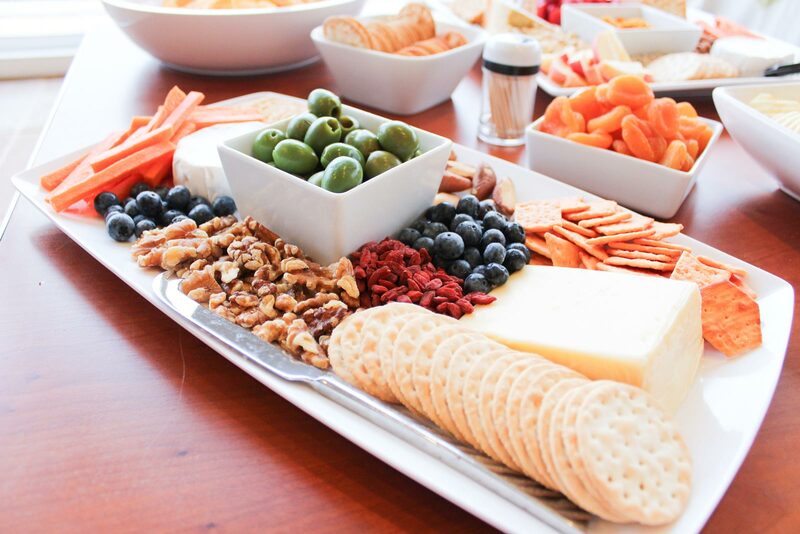 I then proceeded to fill the surrounding spaces with complimenting condiments including: a variety of fruits and vegetables, olives, nuts, dips and of course, crackers. I picked up an assortment box of crackers from my local supermarket and also some plain and barbecue flavoured crisps. As for the fruits and veggies I cut up a few peeled carrots into sticks, some celery would also be a lovely addition, a chopped apple, strawberries, blueberries and my personal favourite, dried apricots. Throw some delicious Sicilian olives into a bowl, add your dips – I went for a classic French onion and also a carrot and turmeric one – onto the board and hey presto, you’ve got yourself a banger cheeseboard!